It’s possible, surely, to date the photos by figuring out when it was that the doors were painted red. I can’t find another photo showing them that color. Or from the business next door, and the clothing. Wow. 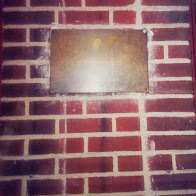 Also, the plaque in the photo is different than the one that is there now. It was much smaller and rectangular instead of square and was placed lower on the wall. It’s impossible from the photo to tell what it said. Those were the days of snap the picture and pray you got the shot. You had to wait until you got home and sent the film for processing to find out. 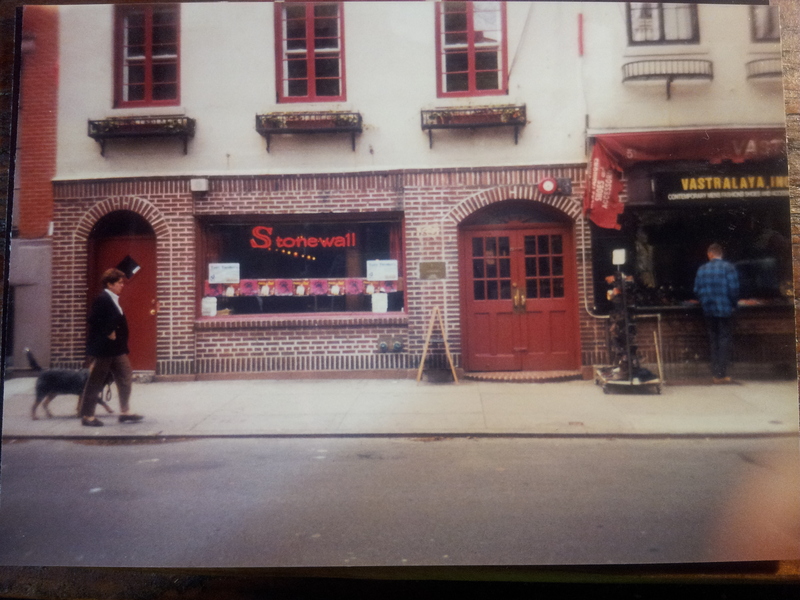 Anyway, I don’t know exactly what the plaque actually said, but I can imagine it was something like “Here, on June 28th, 1969, members of the gay community took a stand against police harassment and brutality during a raid in the middle of the night, thus giving birth to the modern gay liberation movement”. And so become yourself because the past is just a good-bye. –Graham Nash, from “Deja Vu” by Crosby, Stills, Nash and Young (1970).